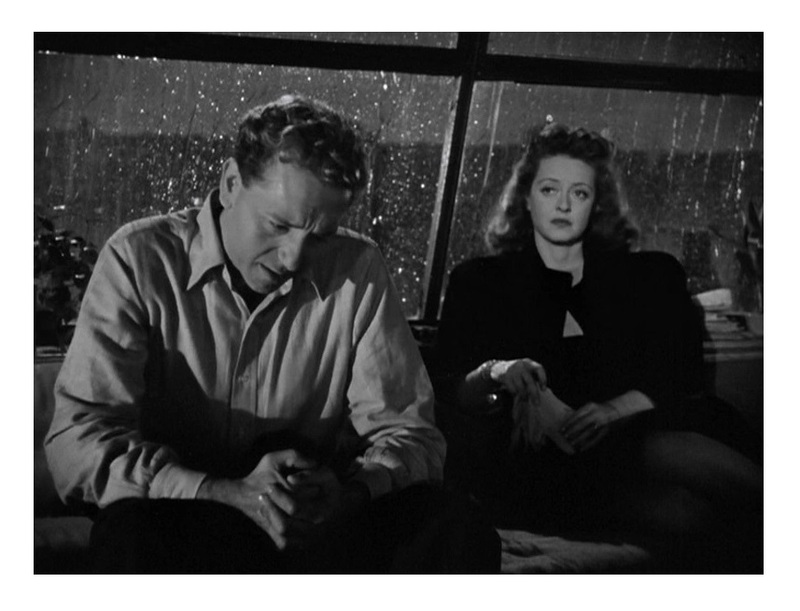 A concert pianist, Christine Radcliffe (Bette Davis), finds out that her presumably dead boyfriend, cellist Karel Novak (Paul Henreid, Now, Voyager) is alive. Christine wants to pick up where she and Karel left off and they get married quickly. 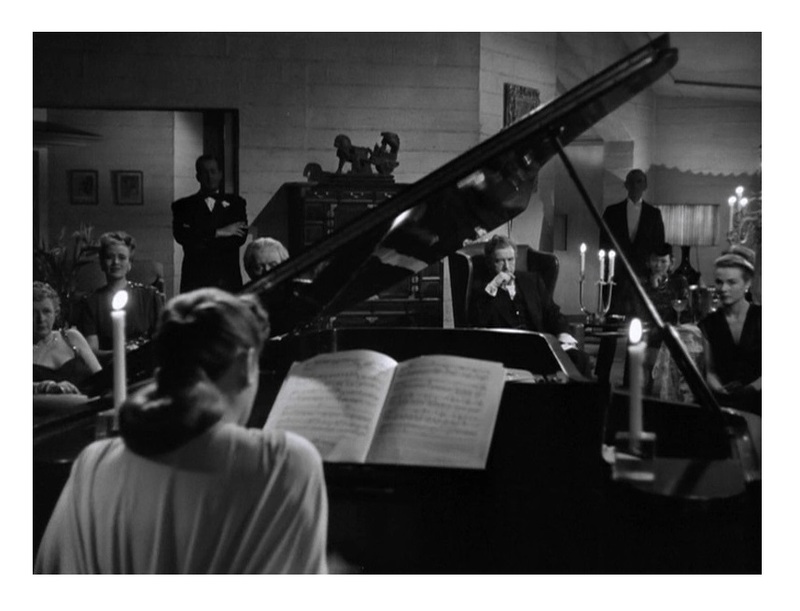 Christine, however, is currently the lover of famous composer Alexander Hollenius (Claude Rains, Mr. Skeffington), a fact that she wants to keep from Karel. Kitschy, irresistibly overheated melodrama coated in postwar malaise. 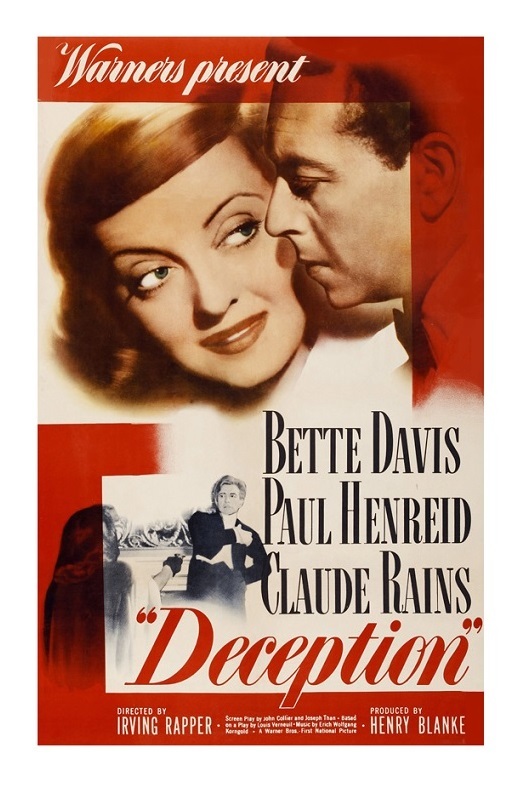 Directed by Irving Rapper (The Corn is Green), Deception is a deliciously high-pitched and very entertaining quasi-noir. Today, the premise of the film — a well-kept woman tries to hide her past from her husband — seems like much ado about nothing. It’s not as if she was cheating on her husband. She thought the guy was dead, and needing financial support, she found a rich lover. Not a great moral choice, but nothing terribly bad either. Yet the poor lady is made to suffer for her indiscretion. The husband is a bit of a creep anyway so I secretly wished the lady had ended up with the wealthy lover. Dated narrative elements aside, this is a really fun merging of classic noir and women’s picture. Deception is based on a 1927 French play by Louis Verneuil. The play had a successful run on Broadway the following year. Interestingly, it’s a two-character play and the third main character, the rich lover, is constantly mentioned, but never makes an appearance. The screenplay by John Collier and Joseph Than adds the third character. Bette Davis always said that the only good thing about the movie was Claude Rains’s performance. She was so impressed with her co-star’s work that she asked Warner Bros. to bill Rains above the title. Although I think Davis undervalued the film somewhat, I agree with her that Rains is unforgettable. Rains benefited greatly from playing the best written part in the movie. He is matched scene-for-scene by Davis. Paul Henried is, unfortunately, overshadowed by his dynamic co-stars. There is one scene in particular that shows Rains’s genius. He, Davis and Henreid are having dinner at a restaurant and Rains proceeds, passive-aggressively, to destroy Henreid’s confidence. It’s an absolutely wonderful scene. 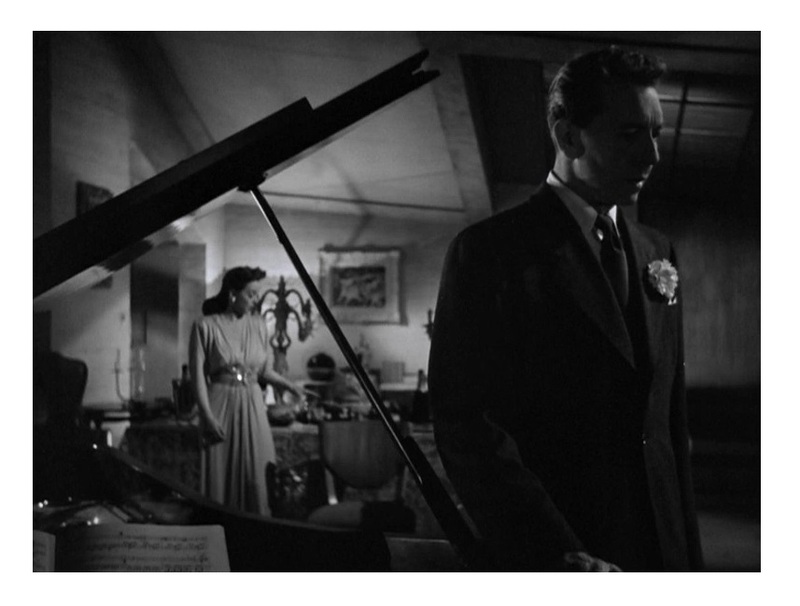 Deception was shot by Ernie Haller (Jezebel and All This, and Heaven Too) in gorgeous chiaroscuro fashion. The super-chic sets were designed by celebrated production designer Anton Grot (Juarez and The Private Lives of Elizabeth and Essex). The fantastic score, by Erich Wolfgang Korngold (The Adventures of Robin Hood), is the icing on the cake. Deception is about musicians so music is an integral part of the movie. Austrian-born composer and conductor Korngold wrote some lovely compositions specifically for the movie. This was a troubled production. The film quickly went over-schedule and over-budget. Deception was a modest hit, but Davis was never happy with the final result. It’s nothing to be ashamed of; this is a really fun melodrama about very elegant people behaving inelegantly. P.S. Deception was deftly parodied in Carl Reiner’s 1982 satire Dead Men Don’t Wear Plaid. B&W, 110 minutes, Not Rated. Claude Rains was great in just about anything!! I have to agree with you. Rains was incapable of giving a bad performance! I always enjoy watching Claude Rains, especially when it’s opposite Bette Davis! Thank you, Eric, for another fine review. Rains is one of my favorite actors! I’m a bog fan of Bette Davis, yet this is one I haven’t had the pleasure of watching before. It’s a really fun movie. Davis and Rains are a great screen duo. The noirish atmosphere is a big plus! I’m sure you will enjoy it. I’ll seek it out when I get time. The comment above should have said big fan, I was typing too quickly. That’s very kind of you. I was nominated last year and it was fun. I will respond shortly. Thanks again! Great Cast, interesting story line, Love classic noir!! I’d love to chk it out!! The play with just two actors, sounds even more interesting. Yes, Rains is FA-BU-LOUS in this film, especially in the restaurant scene you mentioned. Henried is not as impressive here, but as you said, it’s because he’s overshadowed by Davis and Rains. I love this film. I’m a big fan of Claude Rains, and he gives one of his best performances in “Deception”. I really want to write about it one day. I consider it to be among my favorite Bette movies. Oh by the way. I’m hosting a blogathon, and would love to invite you to participate. The link is below with more details. I’m a big fan of Rains too. Such a great actor. Thanks for the invitation. I will try to participate. Thanks again! Rains steals this film for sure. One of his best and most fun performances. Mine too! He was so talented and always delivered a good performance. It is a mystery as to why he never took home an Oscar because he more than deserved one.